It's an uncomfortable but inevitable part of pet ownership -- at some point, it's likely that your pet will die, and you will have to say goodbye to the companion that you've spent so much time with. Different people have different ways of dealing with grief and loss, but there are some general things that you can do in order to make it easier to cope. Read on to discover some of the many ways that pet owners around the world have learned to deal with the death of their beloved animals. Hopefully, you'll be able to take comfort in some of the ideas you'll learn about during your time of loss. Create a memorial website. Online memorials have gained popularity in recent years for both pets and people. Not only will building an online memorial give you time to reflect on happy memories that you made with your pet, it will offer you a permanent place that you can go to revisit those memories anytime you wish thereafter. Many people choose to create online memorials full of photos and videos of their departed pets and then share the link with friends and family so that they too can remember the precious life that was lost and offer their condolences. There are even several memorial websites that will allow you to create a page for your pet absolutely free of charge. Remove items that remind you of your pet. In the days immediately following the loss of a pet, many people find it too hard to deal with seeing familiar sights that remind them of their loss. In the case of a pet bird, you may find it helpful to remove his or her cage, toys, and other belongings from their normal places and store them out of sight until you feel better, or even give them away to a shelter or bird rescue. 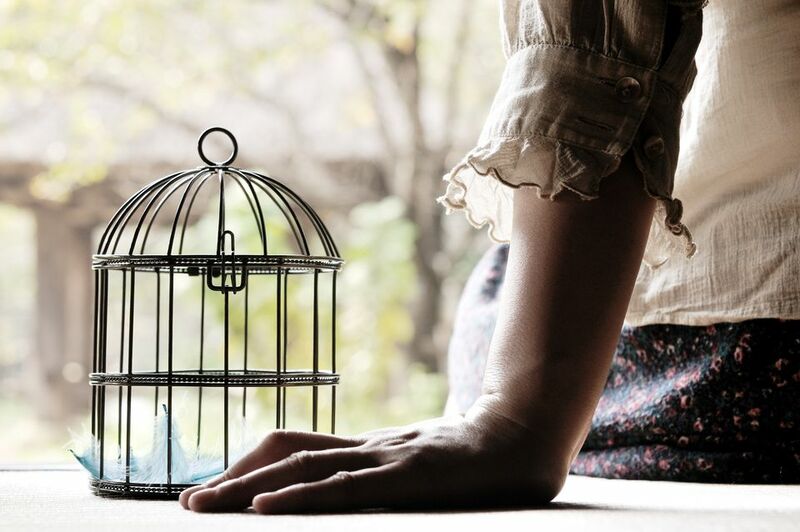 It is hard enough to get through the days following the loss of a pet bird without hearing their sweet voices, let alone having to look at an empty cage. Ask yourself if removing your bird's belongings would help you cope with the loss, and if it will, do so or ask a friend or family member to come help take care of it for you. Make a creative tribute. Many people who are dealing with loss find it comforting to make a creative tribute in memory of their pet. Are you a writer, a painter, or a musician? Try writing a poem, painting a picture, or composing a song in memory of your beloved feathered friend. It has been said that creating art of any kind is a great way to work out internal feelings involving these types of tragic situations. Creating a fitting tribute to your pet can help give you the closure that you need in order to be able to move on. No matter how you choose to remember your pet, keep in mind that it is normal and okay to experience feelings of grief for some time. It can take months for some people to work through the grieving process, and the truth is, a portion of the pain will never quite go away. It will eventually be easier to deal with though, and one day you'll be able to look back on the memories of your pet bird without feeling quite so overwhelmed with sadness. Once you have reached that point, you may consider adopting a new pet bird to share your life with. Is Your Bird at Risk of Contracting Avian Flu?